A petition has been filed by Indian Association of Lawyers (I.A.L), before the Advocate General seeking sanction to initiate contempt of court proceedings against those who have offered bribe to a Kerala High Court Judge Justice K.T. Sankaaran. As per the petition, it is stated that the attempt to bribe the judge resulted in interference with administration of Justice amounting to contempt of court. The Advocate General Mr C.P Sudhakara Prasad, has reportedly issued notices to the accused in the Nedumbassery gold-smuggling pursuant to the petition. 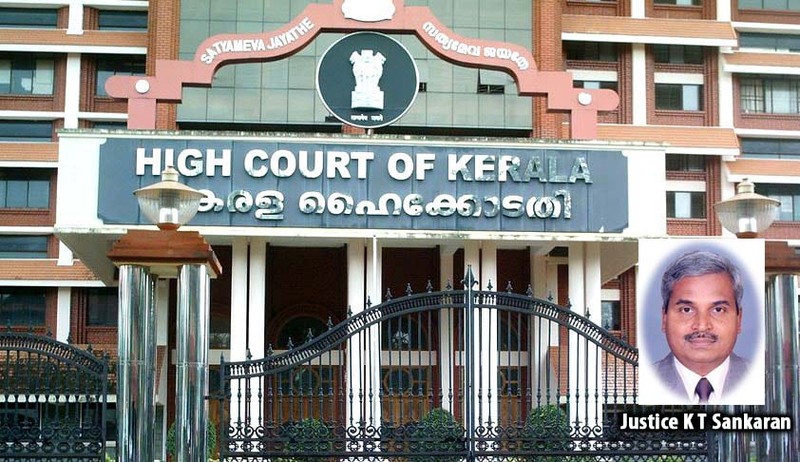 Live Law had earlier reported the recusal of a Division Bench of Kerala High Court comprising of Justice K.T Sankaran and Justice A.Hariprasad, from hearing Habeas Corpus (preventive detention) matters relating to COFEPOSA cases. The decision was taken after it was found that one of the relatives of an accused, Nedumbassery gold-smuggling case had offered a huge sum as bribe, to one of the Judges, Justice K.T Sankaran, with an alleged attempt to elicit a favorable decision/to cause undue influence in one of the cases, posted before the division bench.